Apple’s highly anticipated media event has finally come to an end, and let’s be honest, it really didn’t disappoint. It’s going to take a while to absorb and analyse everything that’s been announced, but for now, we can focus on the most important announcement – the continuation of the iPhone range. As expected, the iPhone 6s and 6s Plus were introduced, which is great news for those who like a new device every year, but it’s also great news for those who don’t mind slightly older hardware as Apple has also reduced the price of older iPhones in an attempt to get as many consumers as possible moving across to iPhone. 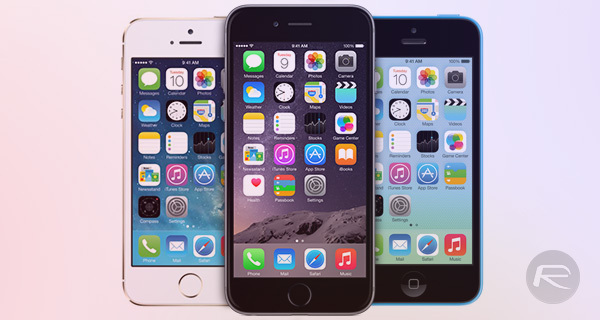 Last year’s iPhones have proven to be the most popular ever. An unprecedented demand for the Cupertino company’s hardware has forced Apple’s hand, leading Tim Cook to reduce the price of the iPhone 6 and 6 Plus. The price reduction should come as great news for those wanting to get their hands on some Apple hardware that manages to lead the pack in terms of customer satisfaction. Consumers looking at purchasing last year’s hardware can expect to receive an immediate $100 discount, with the price of the iPhone 6 now starting at $99 and that of the iPhone 6 Plus, at $199. One of the great things about Apple’s hardware is that it actually remains relevant for a number of generations. That’s particularly relevant today as Apple has also announced that the iPhone 5s, which shipped with the initial introduction of Touch ID, will be obtainable entirely free-of-charge for consumers looking to take a minimum-term contract. Considering the iPhone 5s will be compatible with iOS 9, has Touch ID, and comes built on 64-bit architecture, it should make an absolutely ideal entry-level iPhone for those making the jump from Android. It isn’t exactly a surprise that Apple has decided to discontinue the colourful iPhone 5c that was first introduced in September 2013. The relatively poor sales performance of the smartphone had meant that it was always going to face the chop sooner rather than later. 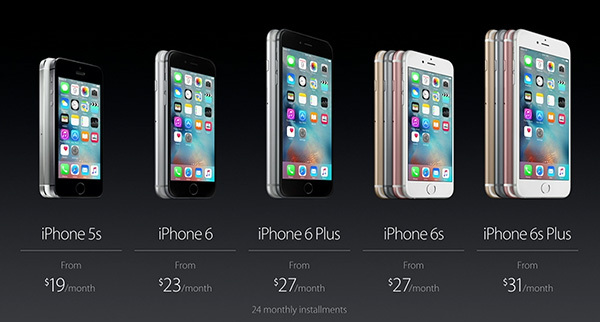 Adding another set of devices in the form of the iPhone 6s and 6s Plus to the iPhone range ensures that the 5s can drop down to being the budget offering and the 5c can eventually meet its maker.